Posted on December 16, 2016 at 1:31 pm. James Packer’s Crown Resorts has made the bold move to withdraw from the Macau gambling market, but it could align with Japan’s recent legislation proposal. 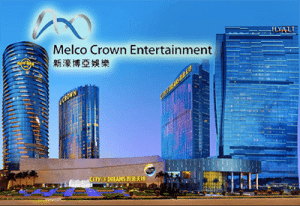 Following the announcement of a spin off plan with its 2004 joint venture earlier this year, Crown has agreed to sell half its stake in Melco Crown Entertainment. The sale will go to the Hong-Kong partner, which is run by Lawrence Ho, for $1.6 billion leaving a 14 per cent stake in Melco Crown for the Australian company. Packer is also resigning as deputy chair and non-executive director of Melco Crown Entertainment. CMC Markets chief market strategist, Michael McCarthy, said Crown seems to be withdrawing from the Macau market entirely. “This seems to be an admission of defeat, and they are walking away,” Mr McCarthy said. While many market analysts are suggesting this is a withdrawal from the Asian gambling market, with Japan recently making the first steps to legalise casino gambling this could be a move to rearrange the company and tackle the Japanese market instead. “These business decisions are strategic and for the long-term and will underpin the company’s future over the next decade,” Crown Resorts chairman Robert Rankin said. Macau was the original powerhouse destination for Crown’s plans in Asian expansion but due to the Chinese government’s anti-corruption campaign these plans have been derailed and economic growth halted. The company was hit the hardest when 18 Crown staff were detained for “gambling crimes” in mainland China. Angus Gluskie, a portfolio manager for Crown shareholder, White Funds Management, said VIP gaming revenue at its Australian resorts also took a hit following the arrests. “There’s no doubt that those arrests changed everyone’s outlook for the sector,” he said. Crown also revealed it will scrap the plans for building a casino in Las Vegas which ultimately sees the company abandoning its current global business plans and ending the spin off involving the international assets listed as a separate entity. Shares are in a trading halt following the announcement, while it’s been reported revenue on the Australian front is flat with some revenue growth in Melbourne, but softness in Perth. This has resulted in a 12 per cent decline in total revenue for the Australian casinos. Crown said the money from the Melco share sale will be used to pay off debt, fund a special distribution and offer a share buyback. Looking for an online casino site? Check out our full reviews of the top casinos playable on desktop and mobile across our site. We highly recommend Raging Bull Casino for users from United States thanks to its attentive customer support, hundreds of real money table games and slots, and range of safe deposit options that make betting and withdrawing a hassle-free experience.